Hello everyone! 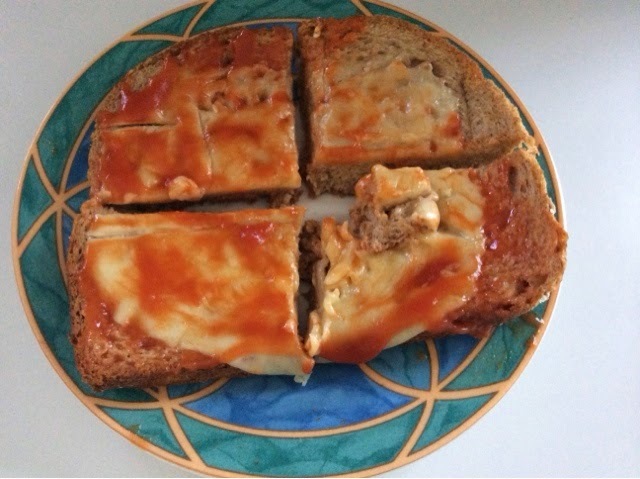 I know I said no more than one post a day but I have created the PIZZA BREAD recipe!!! A lot of people have been asking for this recipe so here it is! This step is fairly simple. 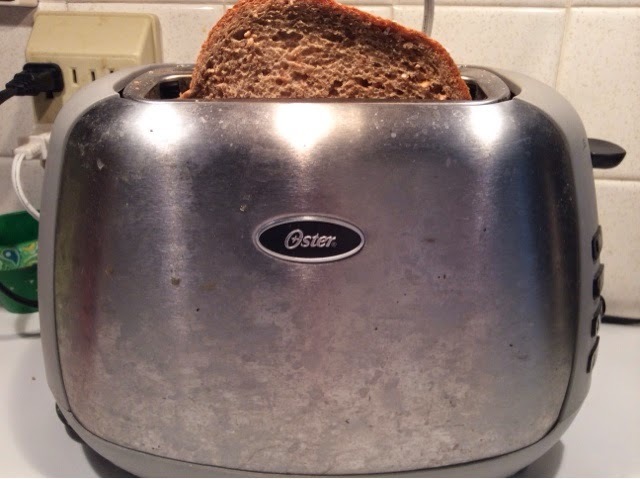 Although, you don't want to toast the bread for too long, maybe 20 seconds. 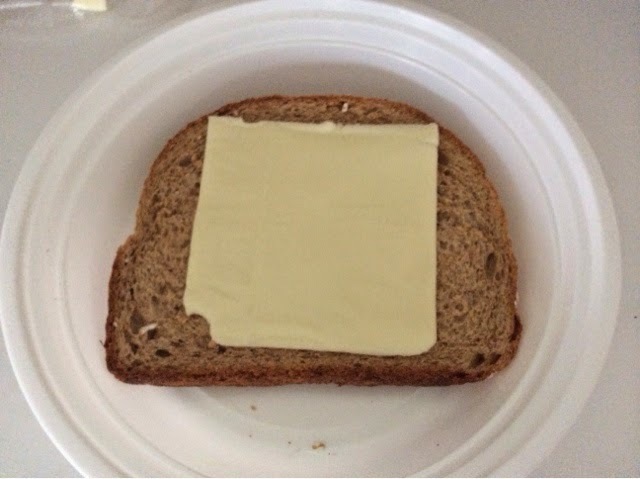 After you've toasted the bread, put the bread in the plate. 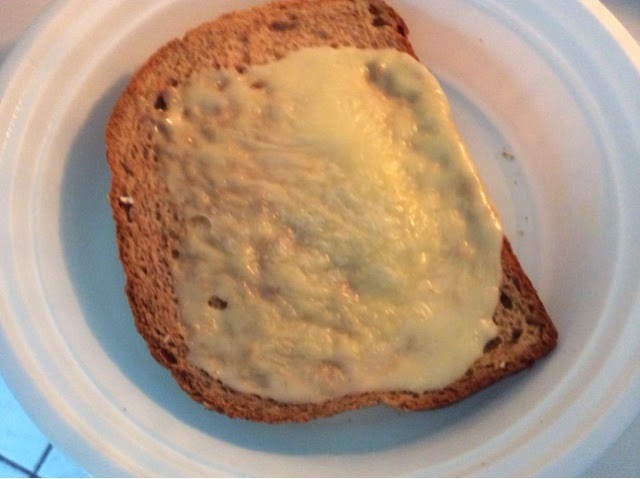 Then, take your cheese and place it on the bread like the picture shown. How much cheese you use depends on how cheesy you want your pizza. 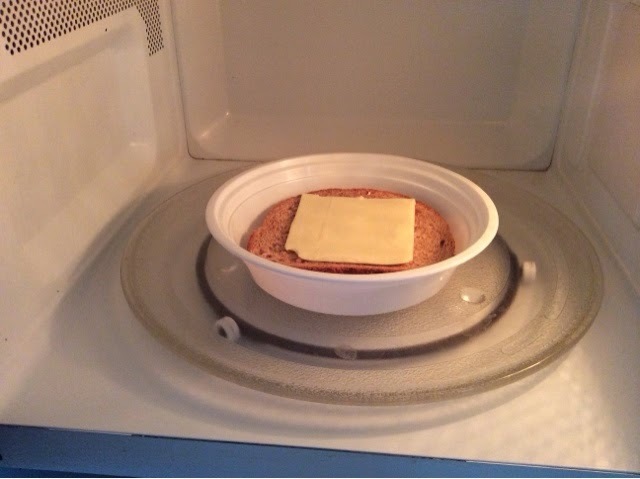 After about 10 seconds, your cheese should be bubbling. Take it out and then put it back in. 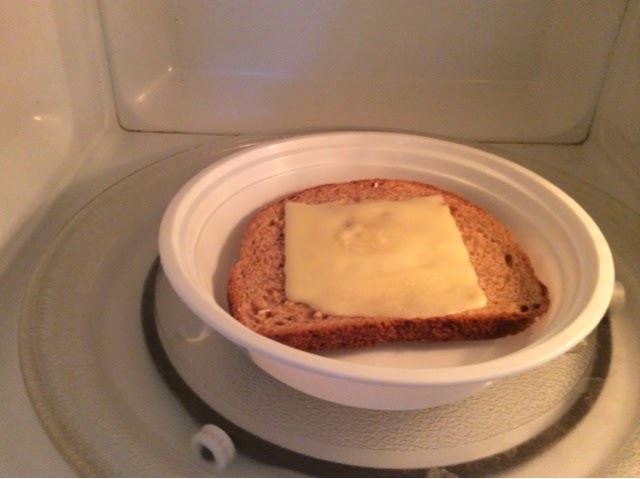 After a while, your cheese should look like this. You can keep it in for longer but I did not. 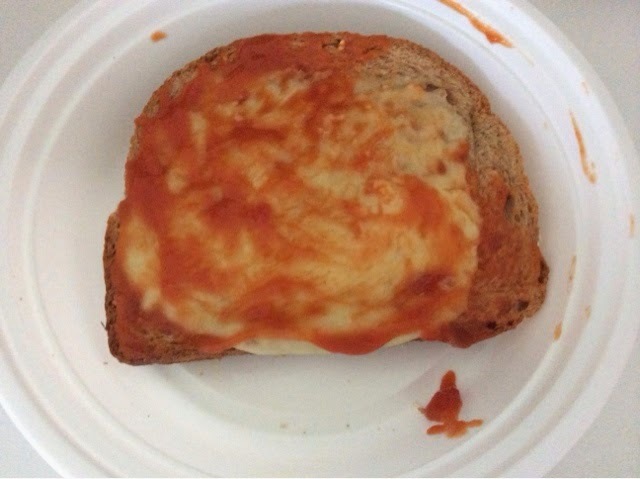 I like to call this step "saucifying the bread". 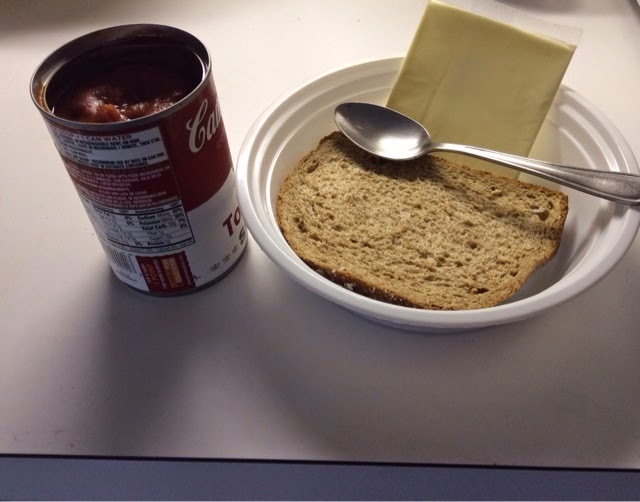 Basically, use your spoon to spread the sauce on your bread, covering ALL of the bread. Now take the pizza, and put it on another plate. Cut into four pieces (if you want to) and serve! I hope you enjoyed the recipe! Tell me in the comments how it turned out! I haven't tried it just yet, but it definitely looks de-li-cious! :) Thanks for the recipe, Noor!